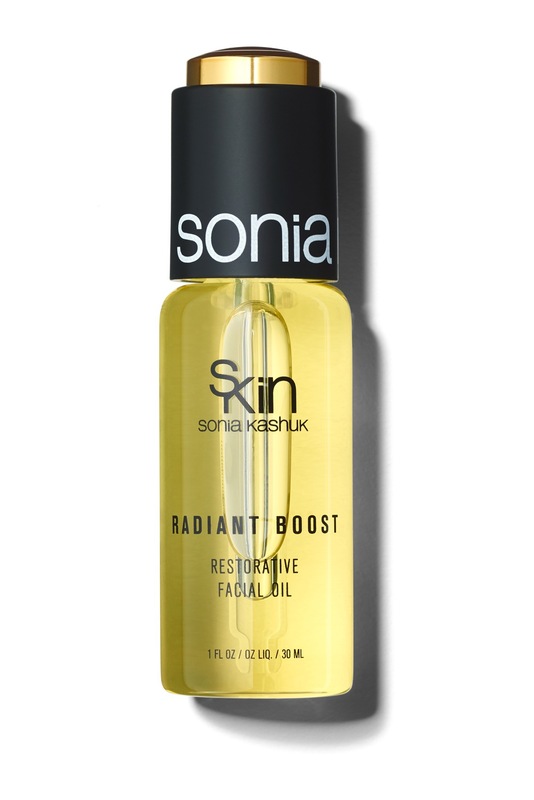 Introducing Sonia’s first face oil, a luxurious formula that multi-tasks to moisturize, repair and protect skin, resulting in a beautiful, natural glow. Rich in antioxidants, fatty acids and botanical extracts, this restorative face oil will instantly hydrate and nourish the skin, while delivering a dewy, youthful look. The anti-aging formula contains a blend of 9 oils including Sweet Almond Oil to soften, Bergamot Essential Oil to purify, BerryFlux Vita to boost skins moisture, Sesame Seed Oil to condition, Evening Primrose Seed Oil to nourish and regenerate, and Black Currant Seed Oil to soothe the skin. Stabilized Retinol protects against photo-aging and reduces lines and wrinkles over time while Para Cress Flower Extract works to improve skins density and firmness and Vitamin E delivers antioxidant properties. Housed in a sleek glass vial and dropper with a delicate scent. I like the packaging, it has retinol, reviews said (and Sonia Kashuk herself in an interview) that this dace oil smells divine, and the base oil is sweet almond oil. 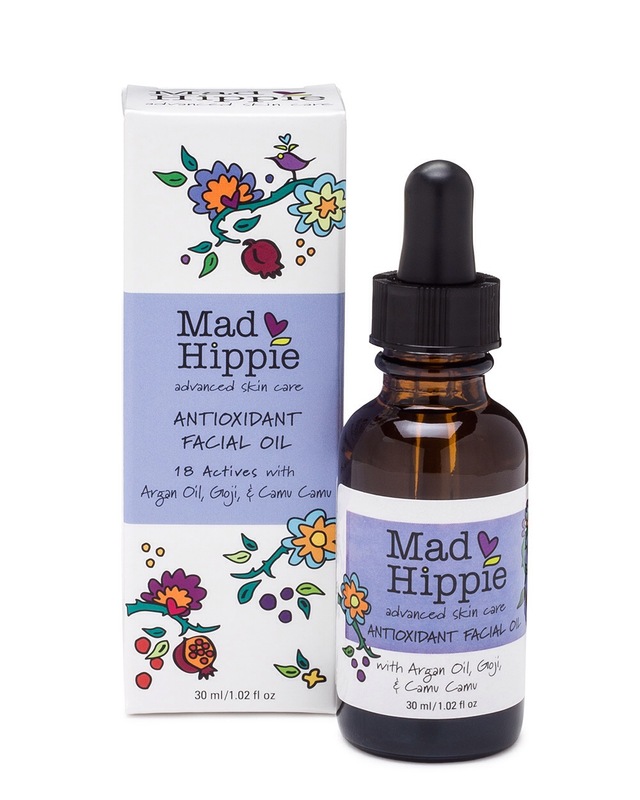 Mad Hippie Antioxidant Facial Oil protects and deeply hydrates for skin that feels soft and supple while antioxidants soothe and protect against photo-aging. 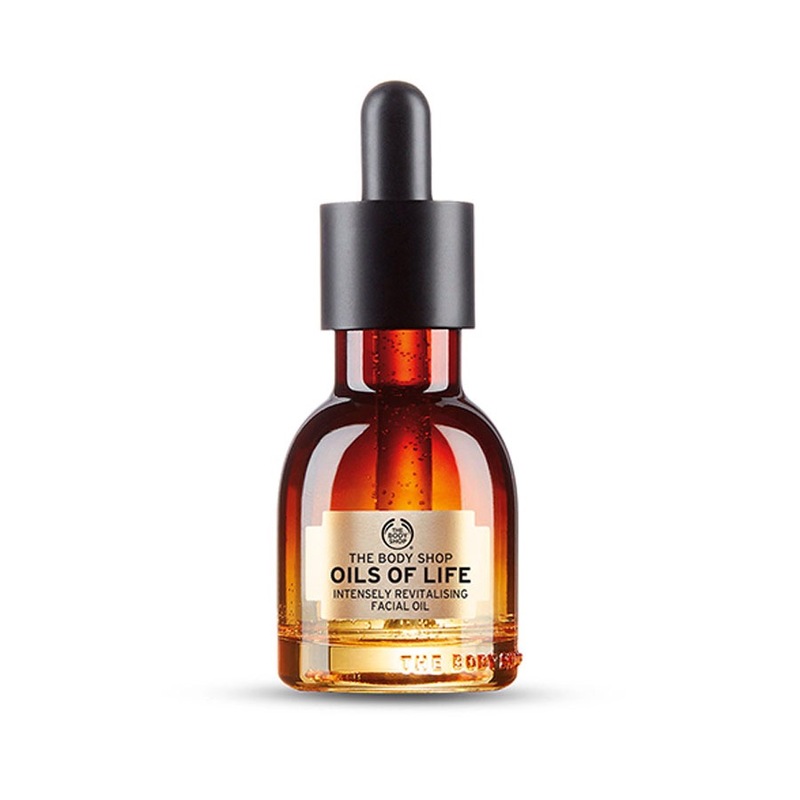 This facial oil contains a combination of moisturizing oils, such as argan, sea buckthorn berry, pomegrante and sunflower seed, as well as fruit extracts, camu camu berry, which is a rich source of vitamin C.
The base oil is argan oil, my skin loves argan oil. This oil blend has no filler ingredients in it, instead it has a mix of great and uncommon oil/ fruit extracts. Reviewers said it smells good and sinks in with no residue after application. Pixi Rose Oil Blend is infused with a powerful complex of youth-preserving oils to help improve skin’s elasticity and glow. Sweet almond, rosehip, jojoba, pomegranate seed, and rose geranium oils nourish the complexion, leaving it comforted & smooth to the touch. Beside the feminine and pretty packaging? Ive been wanting to add rosehip oil to my skincare regime but i just can not stand the fishy smell. 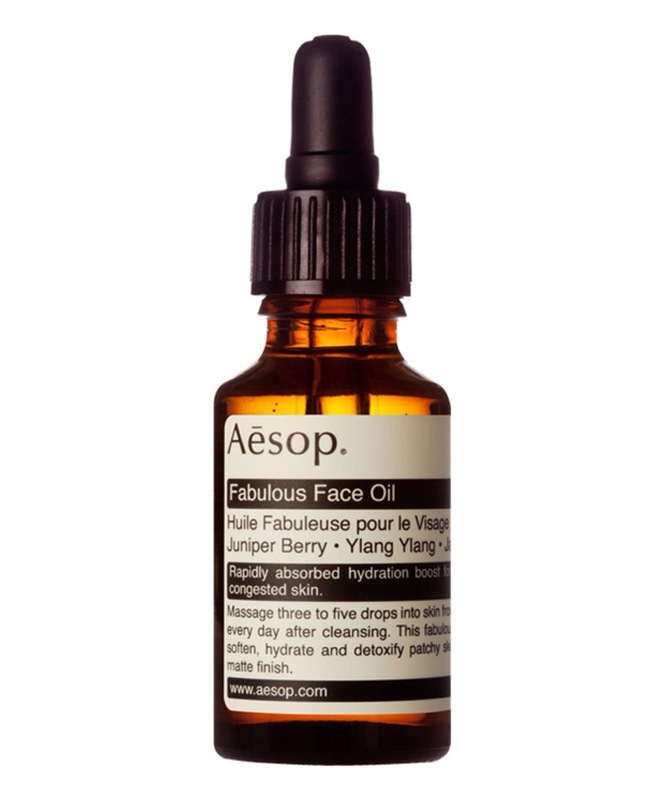 This face oil has sweet almond and rosehip oil as base oil. Plus it has rosa damascena flower oil which smells heavenly and has anti aging properties. Whats not to love? Our Marula is 100% pure, wildcrafted without pesticides, cold pressed and unrefined (like us). The Marula project provides economic empowerment to the South African women who harvest and process the oil. Well i have read the benefit of marula oil since it’s been hyped lately, and it is a single ingredient oil that is not easily available, so i gotta try this one. A concentrated nourishing treatment for extremely dry or distressed skin. Ten precious plant extracts in this concentrated botanical oil deliver potent doses of Vitamins E and A to nourish, relieve and deeply hydrate parched skin. Antipodes Divine Face Oil Certified Organic Avocado Oil and Rosehip is made with 100% pure avocado oil, sweet orange rind and jasmine petal. This face oil is simply out of this world. Light and non-greasy, it penetrates instantly to keep your skin soft and completely hydrated. With its entrancing fragrance of ylang ylang, sweet orange and jasmine your skin will be radiant with good health and feel divine. 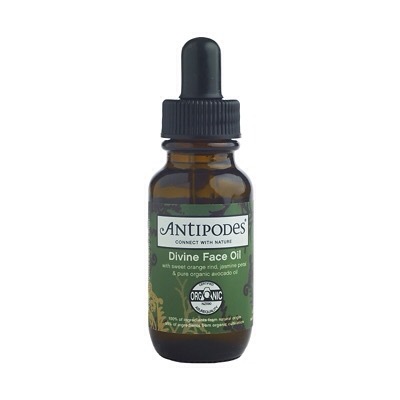 Antipodes Certified Organic Divine Face Oil is the ultimate boost for stressed skin! Elements of Beauty: Ylang ylang regulates and balances skin texture. Essential fatty acids like Omega 9 keep skin strong and hydrated. The high chlorophyll content of emerald green avocado oil is nature’s own special antioxidant. Ingredients: Persea gratissima (avocado oil)*, Macadamia ternifolia (macadamia oil)*, Buxus chinensis (jojoba oil)*, Rosa canina (rosehip oil)*, Canaga odorata (ylang ylang oil), Amyris balsamifera (torchwood), Santalum album (sandalwood oil), Jasminum officinale (jasmine oil), Citrus sinensis (orange oil), Tocopherol acetate (vitamin e), Benzyl benzoate+, Benzyl salicylate+, Citronellol+, D-limonene+, Farnesol+, Geraniol+, Isoeugenol+, Linalool+. There will be additions.. And more posts about skincare products wishlist coming up soon!